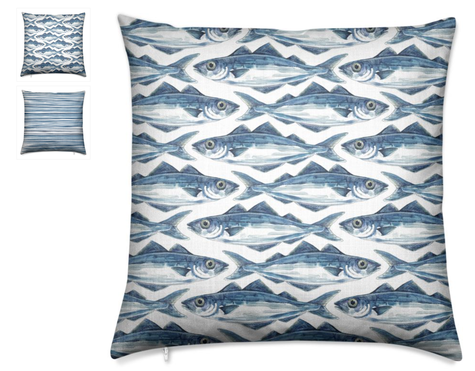 All of these cushions are designed by me, by the sea and made in England. 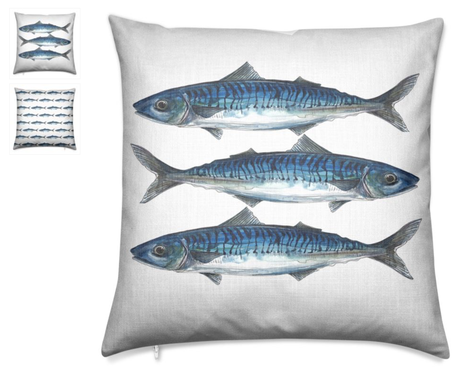 Each unique design is printed on Haverstock Linen look 248g to a very high quality, beautifully capturing all the details of my original artwork. 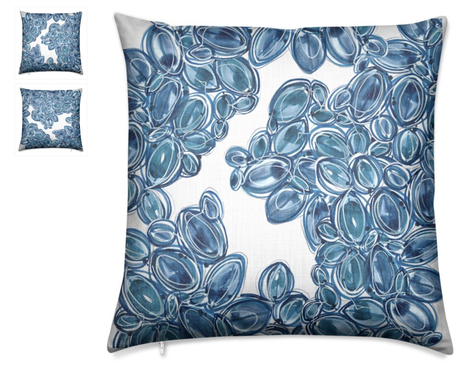 The luxury cushions have a choice of feather or poly fibre inner. 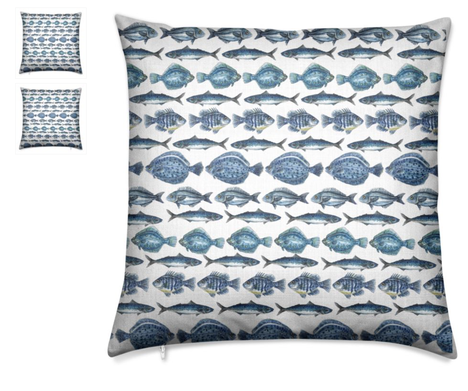 Priced at £66UK each +P&P they come with 100% customer satisfaction guarantee. 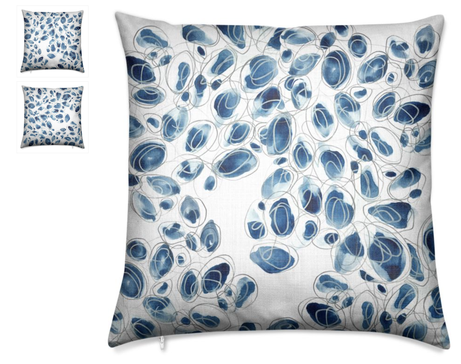 professional textile printer to complete your purchase. 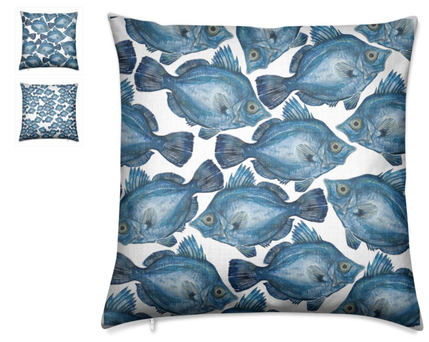 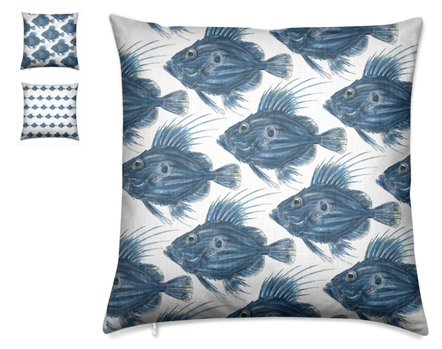 Painted in lots of shades of bright blues, this Boar fish design is perfect for a seaside look. 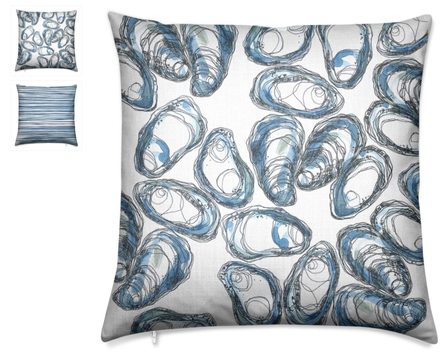 The front side has a bold modern pattern which continues to a smaller version of design on the other side. 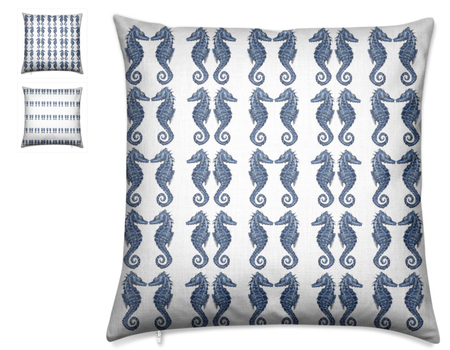 This design is painted and drawn using only shades of blue, complimenting the white fabric, creating a perfect nautical style. 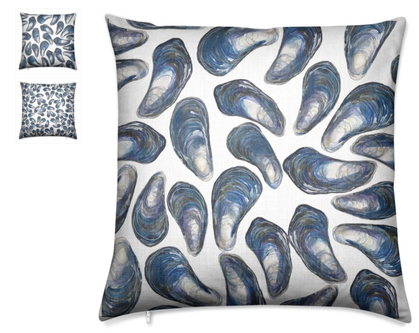 The shells are drawn from my beach finds and the print has captured all the details of the original artwork. 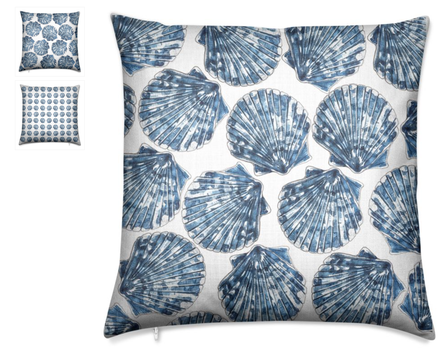 The reverse side has a smaller version of the cockle shell design. 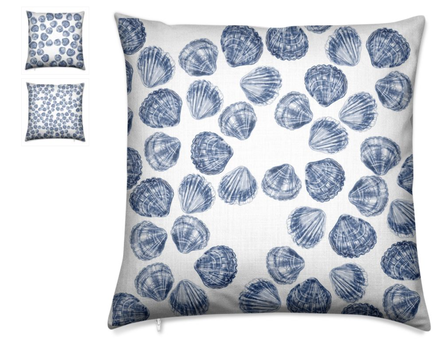 Nothing says seaside more than beach finds in blue and white. 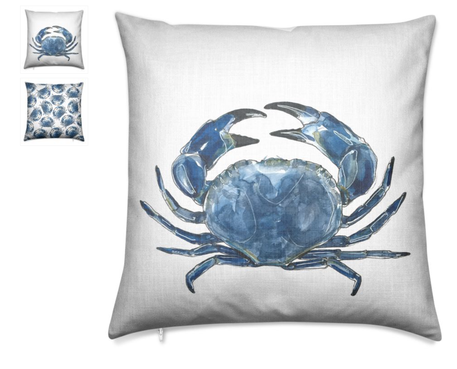 The blue crab is painted in watercolours and is printed to such a great depth it captures all the paint marks perfectly. 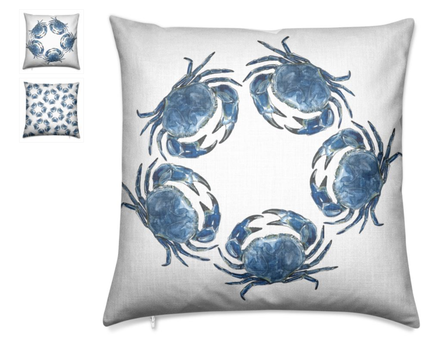 The front shows a large image while the reverse side has a design using the crab in an informal meeting pattern. 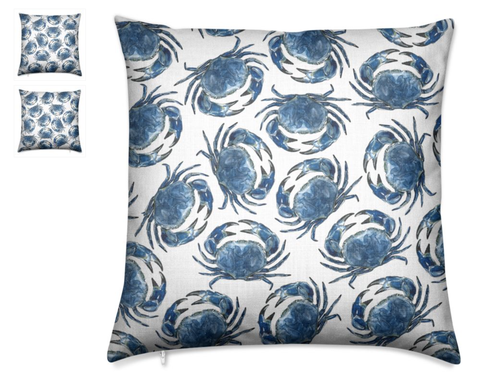 I've painted this seaside classic crab in lots of different blues and used it to designed this natural non-uniformed pattern. 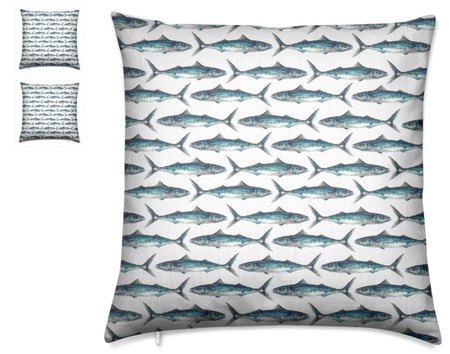 It is printed to capture all the details of the original artwork on both sides of the cushion. 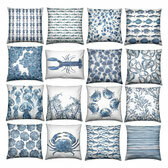 The blues and white make a perfect seaside addition to any coastal home. 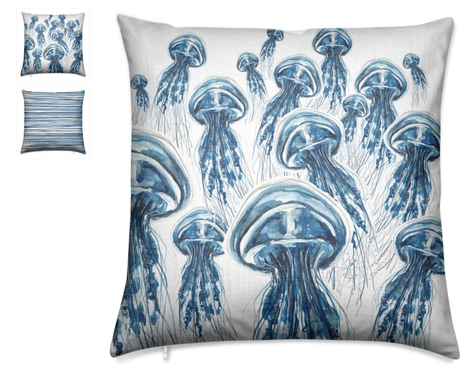 Capturing the movement of these jellyfish, this design painted in watercolour makes a nautical statement to any room. 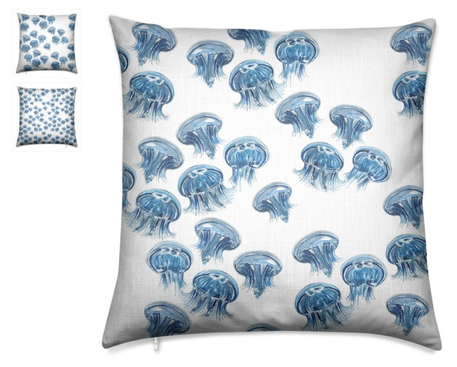 Painted in lots of blues the jellyfish make a pattern which is repeated in a smaller version on the reverse side. 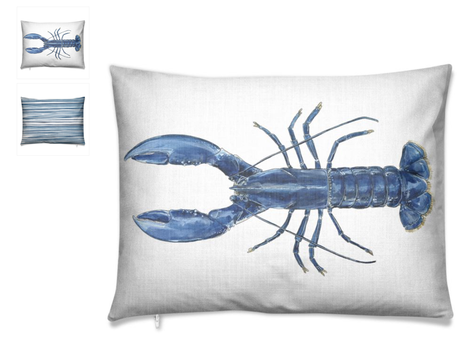 This luxury cushion is designed from an original watercolour painting. 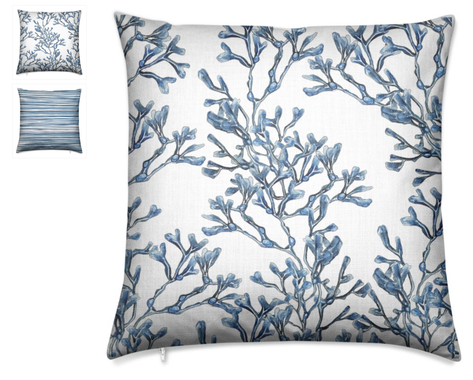 The print captures all the hand drawn patterns and textures of the brush lines and paint. 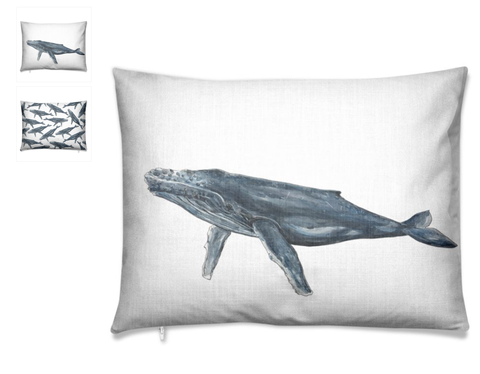 The reverse side has a smaller repeat pattern of the whale. 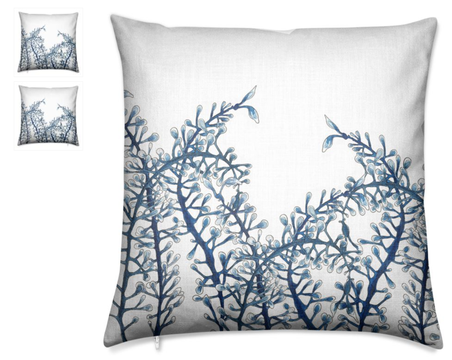 This cushion works well as a statement piece or as part of a collection, perfect for a coastal themed room. 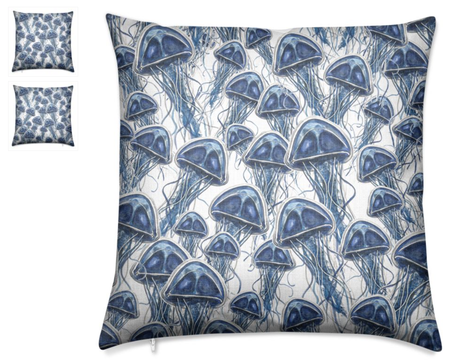 that may have artworks for you to purchase. 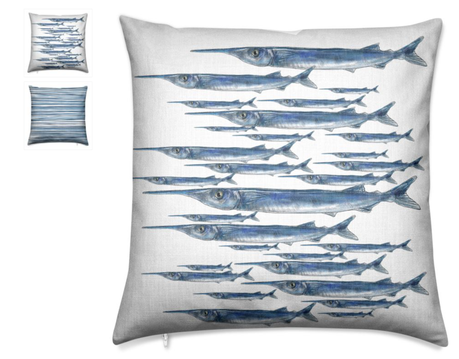 If you have a store you'd like to sell my cushions in, please contact me for wholesale information.